Google Gboard is now rolling out to Canada, Australia, UK and Ireland customers. 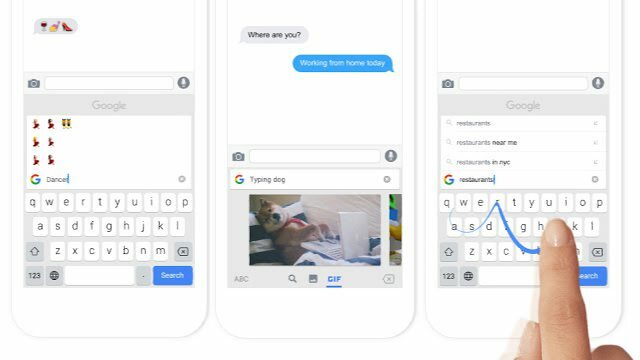 Gboard is a new keyboard for iPhone. Google Gboard features GIFs, emojis, and Glide Typing with Google Search built in. GIFs: Search GIFs for the best reaction. Emoji Search: Find the perfect emoji, faster. Glide Typing: Type faster by sliding your finger from letter to letter.